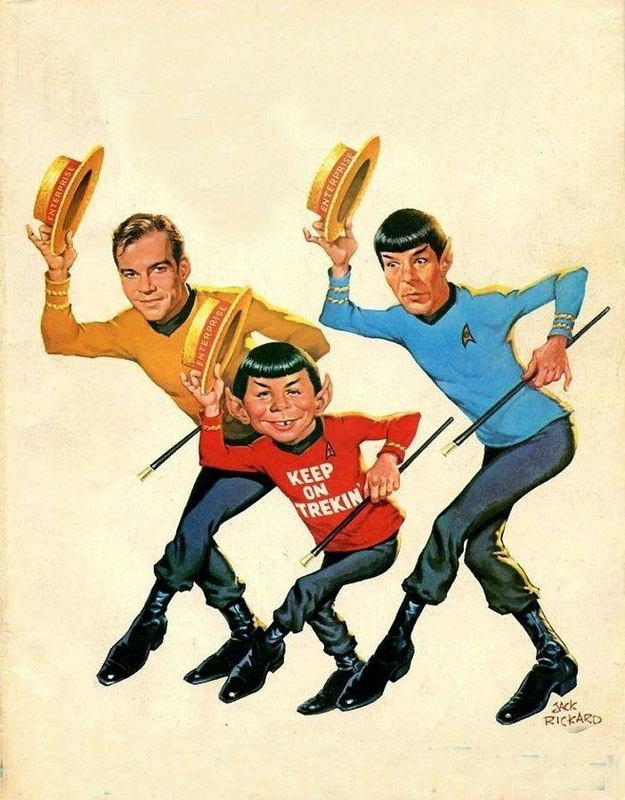 Kirk, Spock, and... why, who's that little Vulcan? But he's in a RED SHIRT!!!!!! Dum de dum, da da da da Dum... da DUMMMM. 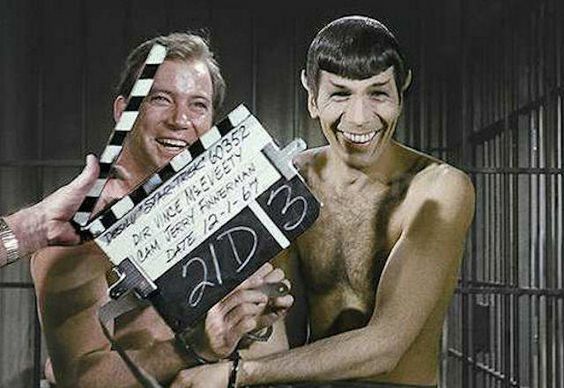 Things like this picture really bring into focus how long ago Star Trek: The Original Series was. By that I mean that enough time has passed that golden nuggets like these pictures have come and gone and become long forgotten until resurrected like ancient artifacts from the Egyptian Pyramids. Now, they are just sheer delights, stuck in a time warp like something out of the Guardian of Forever. 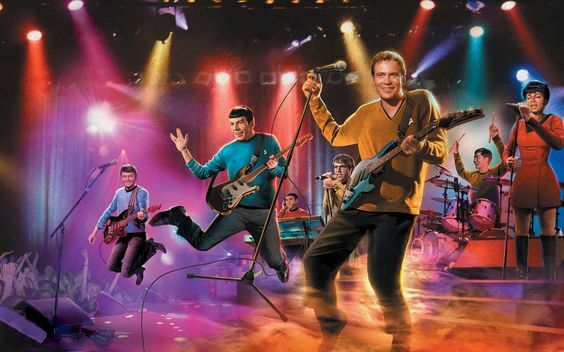 But William Shatner and Leonard Nimoy were always able to keep on trekkin'... and rockin'. 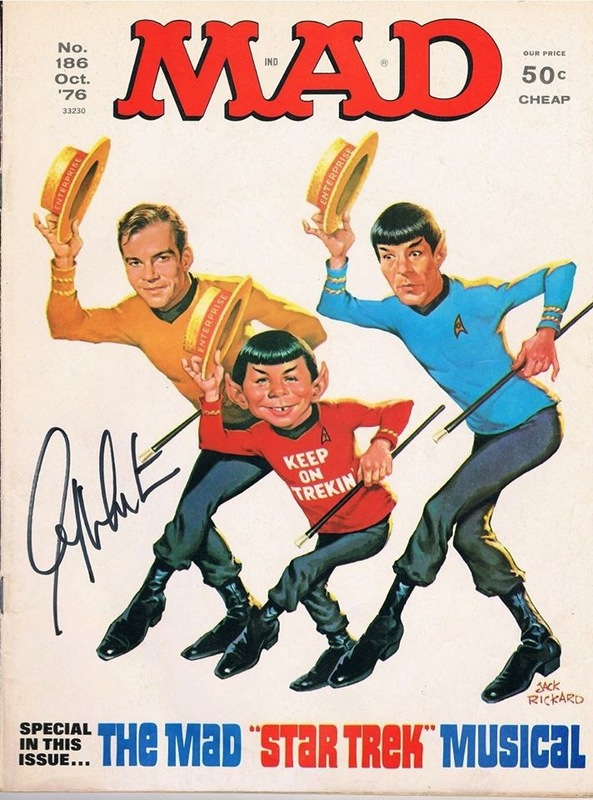 Pretty darn good caricatures, too.